dangers of the task or project. It helps the manager to save a lot of time and money (Anon., 2018). a starting point for different types of the surveys conducted by the surveyors (M., et al., n.d.). take a loop of structure in order to establish a benchmark temporarily at the bottom of structure. 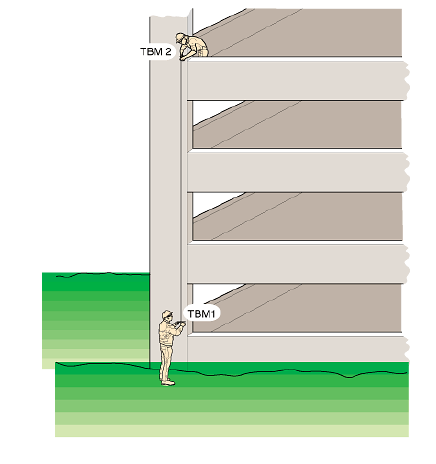 Temporary benchmarks are the simple marks of elevation on the wall with written description. failed then repeat the procedure and run the loop again. order. Horizontal control should match and correlate with the coordination system. feet and 800 feet maximum (MSK, 2013). level for placement of ground point should follow the accuracy of 3rd order class I or better. of survey should be followed and proper application of standard should be followed on order. different pairs that overlap aerial photographs. of SDMS with indication of X, Y and Z coordinates and feature codes with different attributes. AHTD survey division used the system known as Trimble equipment and software. wavelength capabilities. They should be able to track satellites with 5 degree angle of elevation. It should be able to track a minimum number of 8 satellites at the same time on parallel channels. frequency receivers in compression mode. you require Zenith angles to minimize the distance of slope. usually graduation of 5mm is good for accurate leveling of the gauging station (NIWA, 2004). precision level which is higher level than previous method but this method is more expensive. the circular arc on highways. then engineer can work on horizontal curves and their computation. or even longer on the highway. closer to the road center line as compared to the establish framework of control points. and movement of the vehicle around the circular curve of the road. subtends at the center of curve. chords length can be replaced with the arc length without the danger of losing the precision. on the curve because of blockage of vision due to obstructions. PC to point on the circular curve. 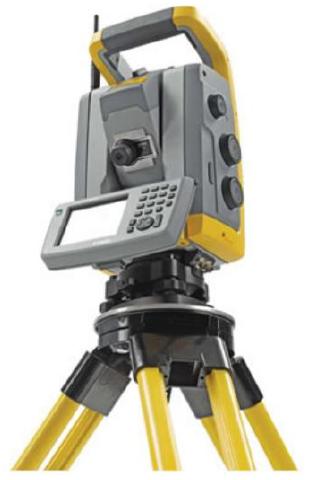 most commonly used surveying equipment’s are discussed below. of the interval surveyor use the equation distance = rate x time. as electro optical also called light wave and electromagnetic also called microwave instruments. even during the unfavorable conditions like fog. atmospheric condition and according to the correlation of the temperature and barometric pressure. It should be applied as per the instructions provided with the operating equipment. measures the range using new coherent laser light from 50 feet to 36 miles. reflector to EDM in accordance with the atmospheric conditions (Anon., n.d.). from satellite. Third class of the positioning system in known as electronic positioning system. theodolite with EDM transmitter which can be used for independently or with EDM. theodolite and EDM and uses built in electronic computers. order to store the data. results are displayed through liquid crystal display and can be stored into different data collector. instruments to ease the work in construction layouts. measurement of 330 feet distance there is deviation level of 0.03 feet. different points. This instrument will locate the target in all the condition even during the dark. and maintained after every 6 months in order to ensure their proper acceptable working conditions. using the method of direction or repetition (Hugo, 2012). angle and divided by the number of observations. control survey, property corners, and secondary control traverse and property control corners. level by rotating the instrument to 90 degrees (Anon., 2003). your head side to side. If it is not clear then repeat the process (N.W.J., 2009). is currently at approximately 30 feet horizontally. good to the point of 3 feet (Jan, 2011). points on ground and then fixing those points with same horizontal positions on the contour map. then, in order to create a contour plan following process is followed. interval desired by the user for the site which is being contoured and change its layer name. contoured and click enter. This process will then show you the contoured plan of the project. adjustment in order to ensure the closure of the project. that traverse is changing its direction at every station. second person will record the fore shot angle. Distance to station number 2 and elevation angle. number one. Repeat this procedure in order to measure all the stations. control points are used as a reference to primary control stations. cannot be set out accurately then we use structural grid. It is set out through the site grid points. internal details of the building we use secondary grid which is placed into the structure. through boning rods, sight rails, slope rails or batter boards and profile boards. or stepped rail in falling or undulating grounds. travelers in order to control the slope. measure distance and ensure that tape is held near horizontal as near as possible. during construction of tower buildings. determine the distance between the satellite and antenna and reduce the distance from time code. relevant readings in less time and produce accurate results (Milind & Dr. Sumedh, 2014). technological instruments of surveying and many other fields. work. Many competitors stated using CAD in order to make their work easier and more accurate. generated by this software were extremely accurate. Modeling can be used to design buildings and place them on site using navigational software’s. intersect at same location. It also made it possible to fuse the lines of the project. 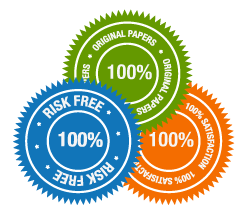 even perform certain analyses before starting the project and get complete detail with this software. image (Yao , et al., 2014). 4000 to 30,000 pulses per seconds put it on the mirror and throw it downward on the ground. signal (S.K. & Shefali, 2003). with lasers and GPS with Inertial Navigation System. construction work where millimeter elevation is required by integrating it with rotated beam lasers. parameters. Structural deformations also require higher level of the accuracy of measurements. connection within the local terrestrial monitoring system and control point. (El-Rabbany, 2001). require flat surface or remodeling of the ground in order to create a specific platform to build on. of the project initiation and contractor will not be assigned to formulate the project schedule. which assist in contour method but they vary on the basis of price and complexity of the software. require original ground level survey data and Final level which require proposed level survey data. compare both surfaces in order to see the difference (Derrick, 2016). 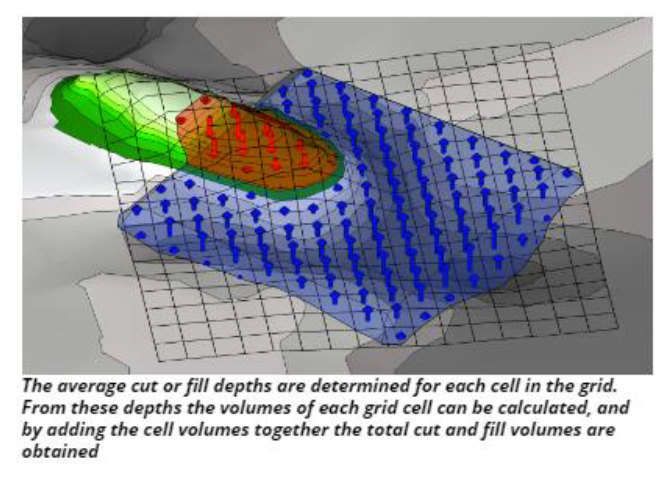 There are many software’s to calculate the area and volume of cut and fills using the survey data. 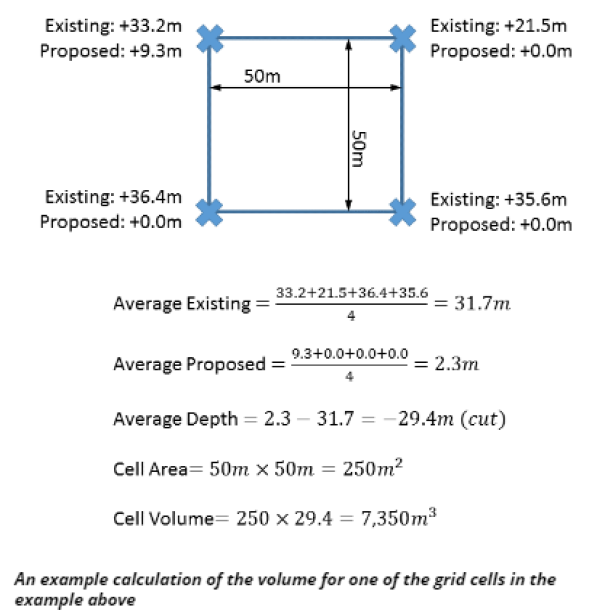 in order to get total cut volume and same is done for the fill volume (Leo, 2017). clear representation of the calculations. corner and if it is fill then note the depth on the bottom right quadrant. forward or next point to be occupied and looking back to the last point which was occupied before. errors. Than focus on using the total station and conduct the traverse between different GPS points. closed on he known point of the project. 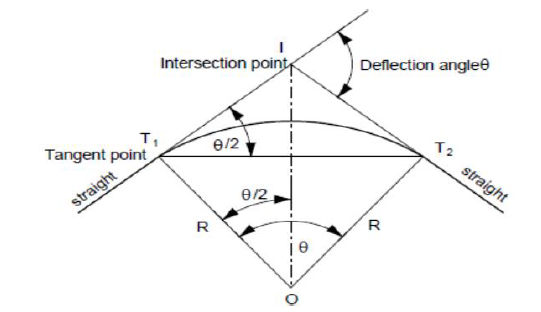 of other directions and for the survey boundaries use true directions (Cornel, et al., 2012). the cumulative all the design points should be set from control network. communication on the working site between surveyor and personnel can cause huge damage to the project so it should be considered and resolved before hand. Setting out of data for coordinated points can be done using a theodolite instrument of civil engineering. During the process of construction when two lines at right angles are carried up vertically on the structure, at that point accurate measures can be taken off those lines and structure will still remain vertical. If the site conditions are favorable then the base figures are placed into concrete which is clear for construction. In order to locate the base of the structure lines will be stretched within marks fixed from different pegs will allow to offset the measurements. As the building or structure is being lift up and risen toward the mark it can be transferred up onto the walls by theodolite. Remember to transfer is carried out on the both sides of the instrument. Vertical pipe can be replaced with the autoplumb or laser beams. In order to do that laser still have to be checked properly for the verticality of the lasers by theodolite. Anon., 2003. Survey Manual. s.l. :Colorado department of transportation. Anon., 2005. Surveying equipment, measurements and errors. s.l.:s.n. Baska, Croatia: US department of state. Anon., n.d. Construction surveying, FM5-233, Washington D.C: U.S department of Army . Clancy, J., 2013. Site Surveying and Levelling. 2nd Edition ed. New York: Routledge. using traverse method and least squares method. The publishing house of the romanian academy. El-Rabbany, A., 2001. An Engineer’s introduction to the GPS. s.l. :Artech house publishing. buildings and other structures. United states patent. surveying works in construction. Journal of interdisciplinary research, 1(2). journal of innovative research in advanced engineering, 1(4). N.W.J., H., 2009. Instrument calibration for the 21st century, s.l. : MSPS.